Home prices grew in the latest S&P CoreLogic/Case-Shiller Indices, up 6.1 percent year-over-year in August, compared to 5.9 percent in July. The increase is against-grain in an economy gaining at a lesser pace, says S&P Dow Jones Indices Chairman of the Index Committee and Managing Director David M. Blitzer. Is there an end in sight? According to Blitzer, home prices have come back since the downturn—and then some—but how long they sustain their trajectory remains to be seen. 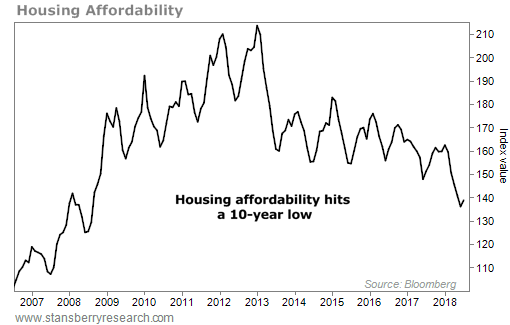 “The ongoing rise in home prices poses questions of why prices are climbing and whether they will continue to outpace most of the economy,” says Blitzer. 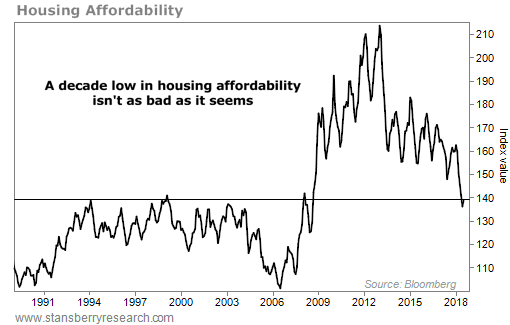 “Currently, low mortgage rates, combined with an improving economy, are supporting home prices. Low interest rates raise the value of both real and financial long-lived assets. The S&P CoreLogic Case-Shiller U.S. National Home Price NSA Index’s 10-City Composite rose 5.3 percent year-over-year, up from 5.2 percent in July, while its 20-City Composite rose 5.9 percent year-over-year, up from 5.8 percent in July. Month-over-month, the 10-City Composite and the 20-City Composite both rose, 0.5 percent and 0.4 percent, respectively. Of the 20 cities analyzed for the Index, Las Vegas, Nev., San Diego, Calif., and Seattle, Wash., came out on top, with prices up 8.6 percent year-over-year in Las Vegas, 7.8 percent in San Diego and 13.2 percent in Seattle. Home prices continue to chart growth, rising on an annual basis to outpace inflation, according to CoreLogic’s recently released Home Price Index (HPI) for January 2017. Prices increased 0.7 percent month-over-month and 6.9 percent year-over-year. A combination of factors is driving momentum ahead of the curve, says Dr. Frank Nothaft, chief economist of CoreLogic. Accounting for limited available inventory, CoreLogic’s HPI Forecast expects home prices to rise 0.1 percent month-over-month from January to February, and 4.8 percent year-over-year from January 2017 to January 2018. The spring home-buying season came early this year, according to realtor.com®, which expects record-high home prices and record-low days on market for February. What Will a Trump Administration Mean to the Housing Finance Industry? This is the one area where the Trump campaign did provide some indication of what the president-elect would do. Trump’s transition team has recently indicated that it would like to see a full repeal of the Dodd-Frank law, which would include the abolishment of the CFPB. Many people think this is unlikely, but most in the mortgage industry would welcome a broad rollback of regulations. Reduced regulation would provide a number of things, some good and some not so good, depending on where you work and where you stand on issues such as subprime lending. First, reducing or eliminating the detrimental usage of enforcement tools such as the False Claims Act could lure large lenders back to the FHA program. It would also cause many lenders to reduce underwriting overlays and open the credit box, which is needed. Secondly, reducing regulation could reverse the trend of swelling loan manufacturing costs by lowering mortgage origination expenditures associated with compliance. In theory, this would improve pricing for consumers. Finally, reducing regulations could spur a resurgence of subprime and Alt-A lending. This could be good or bad, depending on who you ask. Subprime lending has all but vanished from the mortgage market, leaving consumers with less-than-stellar credit with few options. The reemergence of subprime lending would definitely increase overall mortgage volumes, but it could also lead to increased foreclosures and larger and more frequent real estate bubbles. Large lenders, who will be unlikely to move towards subprime, will probably counter by creating products that leverage their ability to hold certain proprietary loans on their balance sheets. This would obviously favor larger depository institutions that have the capacity to hold loans on their books. In terms of marketshare, reduced regulations will also favor big banks. Higher interest rates were already in motion before Trump was elected, but the upward trend accelerated in the days following, although it’s not yet clear why. Economists generally believe that most of Trump’s stated ideas on immigration, trade, infrastructure, and tax rates will lead to bigger deficits and higher inflation. While a deficit-hating Congress could keep some of this in check, inflation and deficits equate to sharply higher interest rates. This obviously would not be good for mortgage originations and could lead to further consolidations in the industry. Higher interest rates also favor big money-center banks, which have diversified income streams and mortgage servicing units that will see their MSR values increase. Lenders with deep pockets are in the best position to weather any downturn. This, in my view, is the biggest wild card. Some believe that Rep. Jeb Hensarling, R-Texas, chairman of the House Financial Services Committee, finally has an ally in the White House who will support his desire to dismantle Fannie Mae and Freddie Mac and eliminate any further government guarantees of conventional mortgage loans. This would be catastrophic for mortgage lending in America, causing thousands of independent lenders to go out of business and making mortgage loans available only to a relatively miniscule segment of our population. But others believe the GSEs provide billions of dollars to the Treasury each year and that Congress would never support a policy that would harm homeowners and turn off the spigot of free cash to the government. It is difficult to anticipate how this one will play out. If Fannie Mae and/or Freddie Mac need to take a draw from the Treasury, which is likely to happen at some point, some members of Congress might see that as an indicator that it is time for the government to get out of the mortgage business. Let’s hope that cooler heads will prevail. Reforming the GSEs and creating a permanent source of liquidity for the mortgage lending industry would be good for everyone, especially independent lenders. Trump is a real estate man; he may see homeownership as a way to build communities and support our economy. He’s not someone who believes that most of us should be renters. There is no doubt that there are a lot of questions that will remain unanswered in the coming weeks and months. What will be Trump’s position on affordable lending or FHA reform? Will he take a page from the Bush Administration and see homeownership as a vehicle to engage with minority and other underserved communities? His appointments to key housing positions at HUD and inside the White House will begin to give us some indication of what is likely to occur. Gary Acosta is the CEO of the National Association of Hispanic Real Estate Professionals (NAHREP) and co-founder of The Mortgage Collaborative. For the latest real estate news, trends and marketing, be sure to bookmark rismedia.com. “Heigh-ho, heigh-ho, it’s off to work we go.” The Seven Dwarfs. A strengthening jobs market and low home rates are digging up demand for limited housing inventory. Meanwhile, home price gains hold steady. The S&P/Case-Shiller 20-city Home Price Index rose 5.7 percent year-over-year from January 2015 to January 2016. This was in line with estimates and matched December’s 5.7 percent gain. Prices were up 0.8 percent month-over-month. The low inventory of homes available for sale has been the key reason for price growth; more Americans working also has fueled demand. On the labor front, the Bureau of Labor Statistics reported that 215,000 jobs were created in March, above the 200,000 expected, though down from the 245,000 created in February. While the Unemployment Rate edged higher to 5 percent from 4.9 percent, the report was positive, signaling that despite global economic woes, job growth here in the U.S. remains solid. At this time, home loan rates continue to hold steady as well, hovering just above historic lows. In a light report week, investors will scour the words of the Fed’s meeting minutes looking for clues regarding the next hike to the benchmark Fed Funds Rate. On Tuesday, the ISM Services Index will be released. Wednesday brings the March Federal Open Market Committee meeting minutes. Weekly Initial Jobless Claims will be delivered on Thursday. Remember: Weak economic news normally causes money to flow out of Stocks and into Bonds, helping Bonds and home loan rates improve. In contrast, strong economic news normally has the opposite result. If you or someone you know has any questions about the housing market, current rates or home loan products, I would be happy to help. Please don’t hesitate to email or call me.